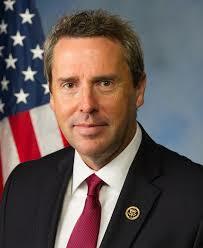 Rep. Mark Walker (R-N.C.) is FreedomWorks’ Member of the Month for October. He sits on the Committees on Homeland Security, Oversight and Government Reform as well as on House Administration. Rep. Walker, who has a 90 percent lifetime score with FreedomWorks, is also the chairman of the Republican Study Committee (RSC), which boasts a member of more than 170 House Republicans. The Republican Study Committee exists to advance conservative policy solutions in Congress. Sticking to the promise he ran on of voting to repeal ObamaCare it is refreshing to see true conservatives sticking to their principles. When the American Health Care Act was working its way through the House, Rep. Walker and RSC steering committee members negotiated with President Trump to give states the option to include work-requirements on childless, able-bodied adults who receive Medicaid. Rep. Walker has become a leader in the fight against earmarks. There are near constant rumors that House Republicans may bring back this pernicious practice, which defined congressional corruption and wasteful spending. “Crony capitalism, pork-barrel spending, and favors for special interests have no place in Congress,” he said in July. Also, FreedomWorks looks forward to working with Rep. Walker on justice reform. He said, “There are communities that are hurting, that are suffering, and that should be important to both parties, all parties.” Now is the time for the Republican party to lead on evidence based reform that focuses on increasing public safety, lowering recidivism and saving taxpayer dollars. Rep. Walker is a cosponsor of Rep. Doug Collins’ (R-Ga.) Prison Reform and Redemption Act, H.R. 3356. Rep. Walker is an original cosponsor of FreedomWorks’ Bill of the Month, , the CBO Show your Work Act, H.R. 3822. The bill would allow the public to view the means by which any scores or analytics were mentioned regarding the budget. Rep. Walker is the sponsor of the A PLUS Act, which would allow for more flexibility from local communities. This bill would allow for parents and teachers to focus on children on an individual basis by keeping it at a more local level. FreedomWorks is proud to honor Rep. Mark Walker as Member of the Month for October.